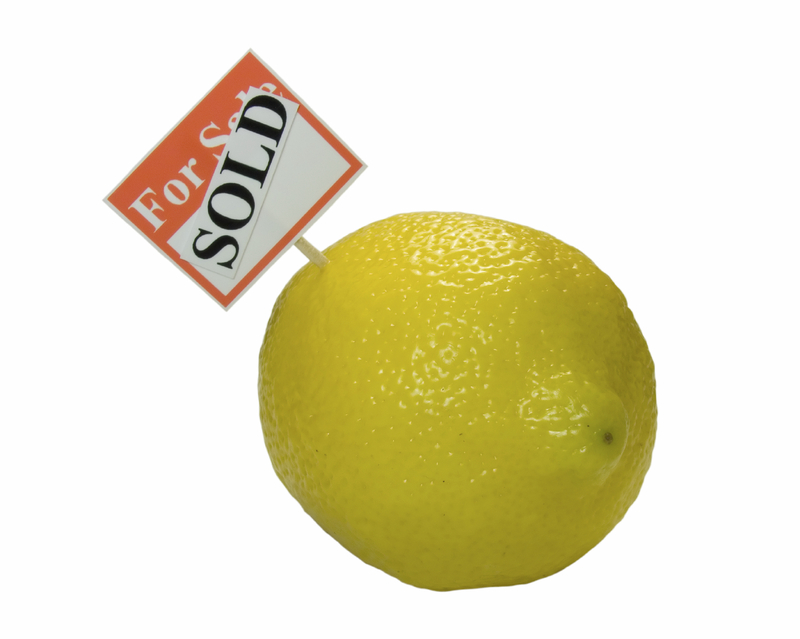 Were We Sold A Lemon? When one builds a house the first thing they typically do is to pour a concrete slab, called a foundation, for the house to rest upon. The purpose of a foundation is to provide stability against external forces for the structure that is built upon it. If you were to think about it, establishing a government is really not that different, although instead of pouring a concrete slab to build your government upon it is typically built upon certain principles or ideologies. America was somewhat unique in that we were once governed by the arbitrary will of a King and then achieved independence; effectively wiping the slate clean and allowing our ancestors to establish whatever form of government they wanted for themselves. The thing is though, once the war with England was over, each State was a sovereign and independent entity unto itself; each with their own system of government established by the people living therein. So when the former Colonies achieved their independence from British rule they were free to establish their own systems of government for each newly established State–which they did. But careful thought was given to the powers given these systems of government and the distribution of those powers. It was upon certain principles, or beliefs regarding both the purpose for and the powers given government, that they established them. That is the foundation that I’m talking about; the basis upon which any governmental authority rests. And where can we find that foundation? Why, in the Declaration of Independence. That is the document that got expressed the beliefs of those who fought for America’s independence; and it is upon those beliefs that any future system of government must rest for it to be in accordance with the principles the Founders fought for in the War for Independence. The Declaration of Independence was more than just a document telling Britain that America was choosing to sever the ties which bound the two together; it was a universal statement regarding the beliefs of those living in the Colonies regarding their rights, the origin of all political power, and what course of action the people may take should government ever begin to overstep it’s just authority. In short, the Declaration of Independence is the foundation for American governance. Before I go a single step further I must once again speak upon the subject of sovereignty. I know I have talked about it before, but I believe that there are some who still do not fully understand what it means to be sovereign. A sovereign is one who holds the supreme or ultimate power and authority. When you read the Declaration of Independence it should be apparent that sovereignty in America rests with the people. Why else would Jefferson write that “…Governments are instituted among Men, deriving their just powers from the consent of the governed…”? If government were the sovereign, why would it need the consent of those governed to exist? It is not the place of the government, nor the people for that matter, to allow government to exceed the specific powers given government; as the government derives its authority upon the consent of those who ratified it according to their understanding of how it would operate; not how future generations might interpret the Constitution. When people go to the polls today to cast their votes for those candidates they believe are best qualified to hold the office they seek, I wonder, how often does the constitutionality of the things those candidates campaigned upon cross the voters minds? Or, do they, as I most often hear, say that, “Well voting for __________ is better than letting __________ win?” Voting for the lesser of two evils, or voting for a candidate who will violate the Constitution to a lesser extent than the other candidate is STILL VOTING FOR A CANDIDATE WHO WILL NOT ADHERE TO THE CONSTITUTIONAL LIMITATIONS UPON GOVERNMENT!!! People look at elections from the perspective of Republicans versus Democrats, when they should be looking at it from the perspective of Candidates versus the Constitution. People constantly tell me that if I do not vote I lose my right to complain, because I am not participating in the process of making changes for the better in America. I would vote if I believed there were candidates worthy of my vote; but I refuse to vote for any candidate who I believe will not adhere to the Constitution, and defend the Bill of Rights, with all their heart and being. Anything less would be a disservice to those who fought for our independence and established a system of government designed to protect and defend the Liberty of the people of this country. Don’t get me wrong, I’m all for a vibrant and strong economy, I just don’t think it is the function of government to ensure that we have one. And don’t for a moment think I’m letting the political left off the hook; it also is not the purpose of government to provide for the needs of small special interest groups such as those who believe in a woman’s right to choose, or in gay marriages. Those things are not, and I repeat, NOT among the powers given the federal government. As James Madison explained in Federalist 45, “The powers delegated by the proposed Constitution to the federal government are few and defined. Those which are to remain in the State governments are numerous and indefinite. The former will be exercised principally on external objects, as war, peace, negotiation, and foreign commerce; with which last the power of taxation will, for the most part, be connected. According to how Madison promised regarding the powers given to the federal government, and those reserved to the States, the powers the political left believes should be exercised by federal law are supposed to be exercised by the State Legislatures. The federal government, according to Madison, had no authority over the lives, liberty and property of the people. Yet how many laws has our government passed which do the exact opposite of what Madison promised? I can’t begin to list them all; it would take volumes if I tried. The government we have today, although it retains its basic structure, is NOT the government those who ratified the Constitution were promised it would be. Had they known that, by ratifying the Constitution, they would be setting the groundwork for the government we have today, I truly believe they would have rejected it. Then, upon leaving the convention on its final day, Franklin was confronted by a woman who asked him, “Well Doctor, what have we got―a Republic or a Monarchy?” To which Franklin answered, “A Republic, if you can keep it.” By that Franklin was stating that it was up to the people to ensure that the government they had just finished outline remained true to the principles upon which it was built. Our Founders, if they understood anything, understood human nature. They knew that people were more likely to choose comfort and security over the animating contest for liberty. Although our Constitution outlines a decent system of government, with few limited powers, it provides for no real checks against the usurpation of unlawful power by those elected by the people. In numerous instances Patrick Henry warned of the dangers of accepting the system of government proposed by the Constitution. I will simply list a few of them for you to ponder to see if Henry was correct in fearing the system of government being proposed to him. – would not all the world, from the Eastern to the Western hemisphere, blame our distracted folly in resting our rights upon the contingency of our rulers being good or bad. Shew me that age and country where the rights and liberties of the people were placed on the sole chance of their rulers being good men, without a consequent loss of liberty? I say that the loss of that dearest privilege has ever followed with absolute certainty, every such mad attempt. If our system of government was truly based upon the principles, or foundation laid by the Declaration of Independence then impenetrable barriers should have been erected to protect the rights of those this system of government was designed to represent; both the States in their sovereign capacity, and the people…but they weren’t. The States have lost all their say in what laws the federal government passes and the limits to its authority; first by Lincoln’s attack upon a States right to withdraw from a voluntary union of States, and then by the ratification of the 17th Amendment; placing the election of U.S. Senators upon the fickle will of the people. Our unalienable rights, both those protected by the Bill of Rights, and those left unsaid, yet still protected by the 9th Amendment, (The enumeration in the Constitution, of certain rights, shall not be construed to deny or disparage others retained by the people. ), if not entirely gone, are well on their way to being taken from us. All for what, so that America might be great again; so that we might have a strong and vibrant economy; so that we can defeat terrorism wherever it might raise its ugly head; so that we can feel safe and secure in our lives; so that we are free to be entertained? Our ignorance, our apathy, our complacency have eroded the foundation upon which our system of government was built; leaving us with one that exercises almost absolute control over our lives, and our liberty. And yet we have the audacity to say that this is still the land of the free. Although it was, and continues to be the people of this country that allows their government to exercise unlawful power and dominion, it was the Constitution which did not include iron clad defenses against these abuses of power. Therefore, my question to you is this: Were those charged with ratifying the Constitution sold a lemon? Were they lied to by the supporters of this document; similar to how a used car salesmen lies just to make a sale?